Leaders of the Chinese Communist Party love to talk up a “New China.” Mao Zedong’s Cultural Revolution (1966–1976) actually compelled the Chinese people to abandon 5,000 years’ worth of traditions and customs. Revolutionary songs and folk theater violently replaced classical poetry and dance. The Chinese regime’s fifth leader, however, has recently gone off script by praising traditional Chinese culture in almost reverential tones. Speaking to over 3,000 Chinese literary types and the full Politburo Standing Committee in Beijing on Nov. 30, Xi Jinping said to look toward traditional culture to usher in a “great cultural renaissance” for the Chinese people. Those engaged in literary works have to “diligently pursue authentic scholarship, good morality and conduct, and high-level aesthetics,” he said. Xi also demonstrated his own knowledge of Chinese culture by sprinkling his speech with classical maxims, like “the pen of literati encourages compassion and punishes evil”—views that are unexpected from the leader of a regime that has been severely violating human rights for over 60 years. Of course, Xi’s speech, which is over 9,500 characters long, contains the obligatory references to “socialism” and the Party’s role in “guiding” cultural developments in China. Indeed, his speech can in some ways be seen as a continuation of a long-term Communist Party project to legitimize the regime by linking it to pre-communist ideas and traditions. 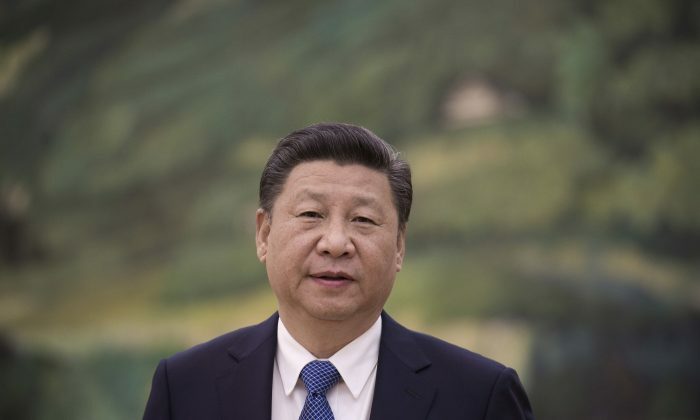 Nevertheless, the frankness of Xi’s praise for traditional culture, and some of the specific wording he used, appears to be “a break from the framework of the Chinese Communist Party,” according to Li Tianxiao, an independent political commentator. Based in New York, Shen Yun Performing Arts is a classical Chinese dance and music company that has a mission to revive China’s 5,000-year-old civilization, according to the Shen Yun website. For the past decade, Shen Yun has played in hundreds of cities, often in landmark theaters, and has received glowing praise from celebrities and dignitaries worldwide. This November, Fei Tian College, the institution where Shen Yun dancers learn their technique, was authorized to offer a master’s program in classical Chinese dance, making it the only institution of higher education in the United States to do so. The Chinese regime has thus far prevented Shen Yun from performing in China and has harassed the company’s performances overseas because it regularly includes in its programs acts that dramatize the persecution of the Falun Gong spiritual discipline, a persecution ordered by former Chinese Communist Party leader Jiang Zemin. The Xi Jinping leadership appears to be distancing itself from Jiang’s political campaign. Li Tianxiao, the political commentator, thinks that Xi’s choice of words in his speech is a timely “signal of affirmation” for Shen Yun Performing Arts. In November, the Hong Kong branch of New Tang Dynasty Television, the sister media of Epoch Times, encouraged the government of semi-autonomous Hong Kong to invite Shen Yun to the city for the 2017 season. Xi Jinping’s Nov. 30 speech is consistent with his views and actions regarding traditional Chinese culture that he has adopted since taking office in 2012. In 2013, Xi visited the historic Confucius Temple in Qufu, in eastern China, and he has been known to quote the teachings of the renowned Eastern philosopher in numerous speeches. The Party’s internal disciplinary police, which runs Xi’s anti-corruption campaign, frequently draws on stories of battling corruption in ancient China to drive home lessons and draw parallels to the present day. In mid-October, Xi cited a work about the famous Song Dynasty general and patriot Yue Fei as his favorite text on a publicized reading list. At the end of the month, an official from Shanghai gave an interview to Epoch Times in New York, and spoke about Xi’s “reverential appreciation and concentrated study” of China’s 5,000-year-old culture.